Disclaimer: This post is sponsored by Mountain High Yoghurt but the content and opinions expressed here are my own. 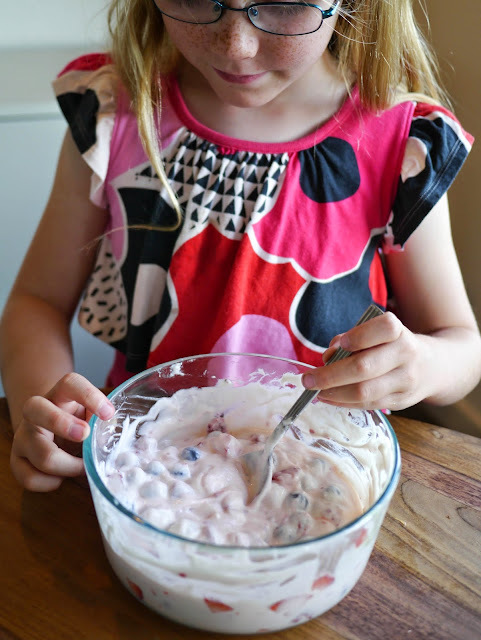 It's been a while since I've shared a cooking with kids post on Little Hiccups so today I'm sharing a super easy and delicious recipe that is perfect for the warmer weather. 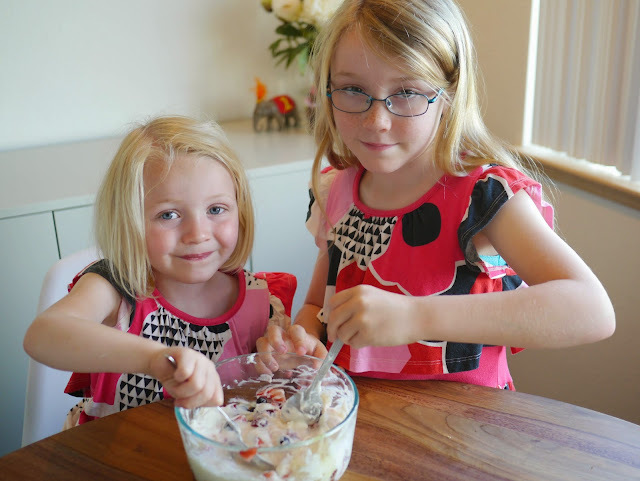 Like many kids, my girls love yoghurt. 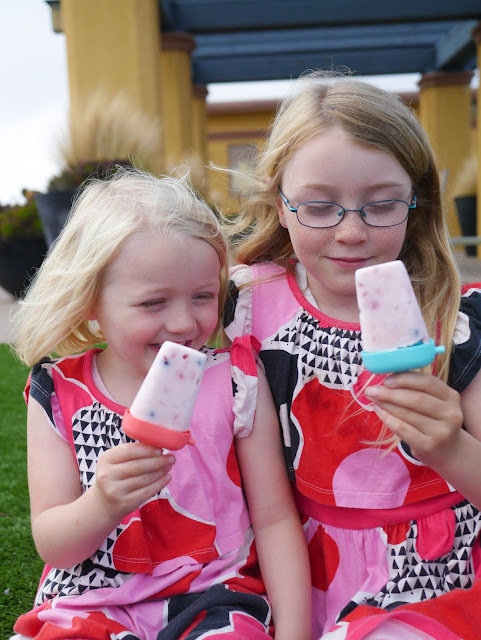 They eat it on it's own, with fruit, with granola, and mixed in smoothies, but by far their favorite way to eat it is as a popsicle! 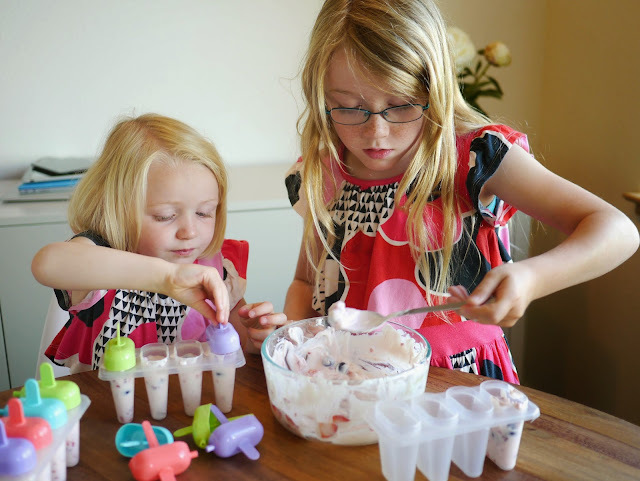 Our freezer is always stocked full of home made yoghurt popsicles. The girls feel like they're getting a treat when they eat one, and I know that they're actually eating something wholesome and healthy. It's a win-win for everyone! 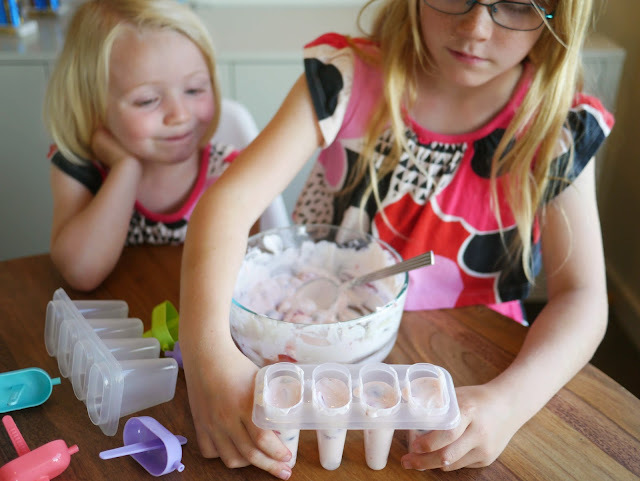 The other great thing about yoghurt popsicles is that they are super simple to make - easy enough for kids to make on their own. Plus there's no end to the flavor combinations you can make. We usually make ours with berries but they would work well with pretty much any fruit. Mango and passionfruit would be divine. 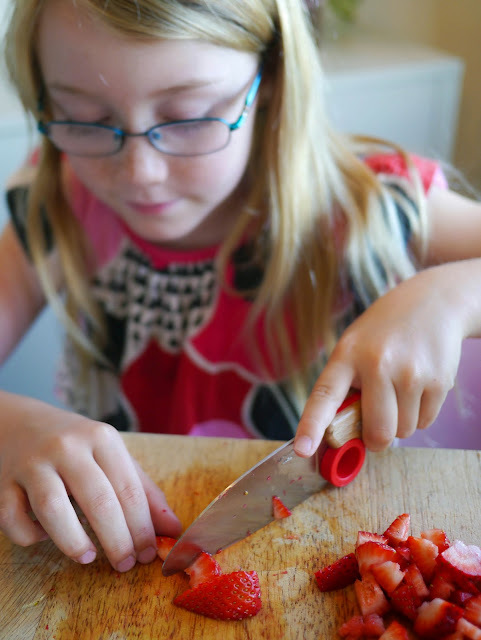 Start by cutting the strawberries into tiny pieces. Place the cut up strawberries into a large bowl along with a few hand-fulls of blueberries and raspberries. 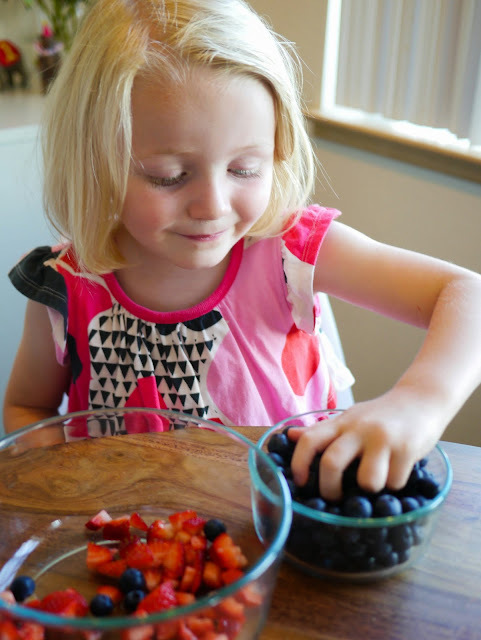 You can cut up the blueberries and raspberries too if you like but we left them whole. Time to add the yoghurt. We used about half a tub. If the berries alone aren't sweet enough for you, add in a little honey or agave syrup to taste. Now get stirring! 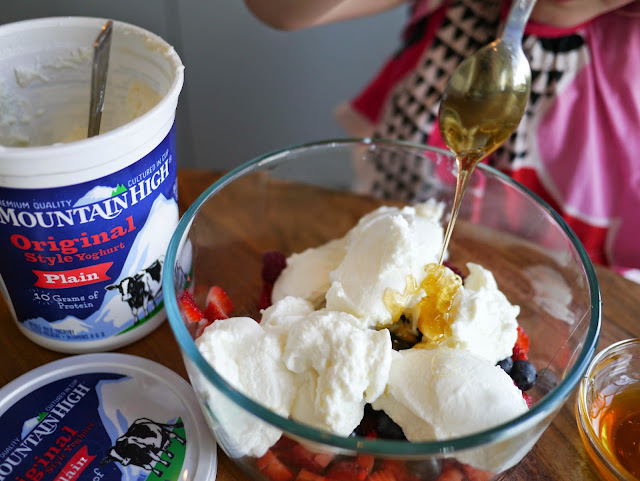 Mix the yoghurt and berries together, adding more yoghurt for a better consistency if required. Stir until the mix is completely combined. 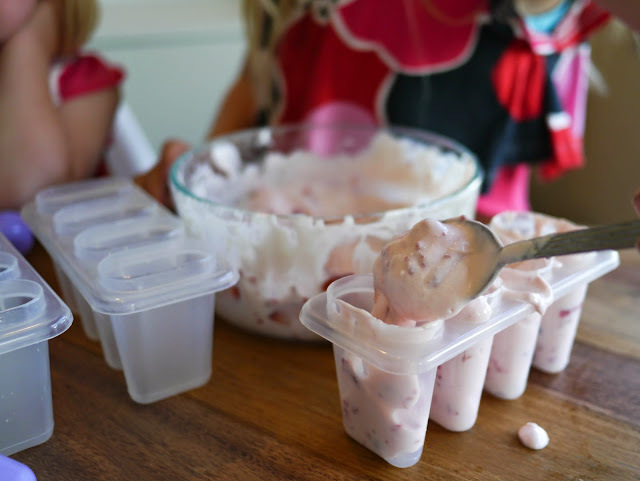 Now start scooping that yoghurt and berry mix into the popsicle molds, making sure not to overfill. Gently tap the filled popsicle mold on the table a few times to settle the mix before placing the lids on top. Don't worry if you accidentally make up too much of the mixture for the number of popsicle molds you have. It's delicious to eat as is! 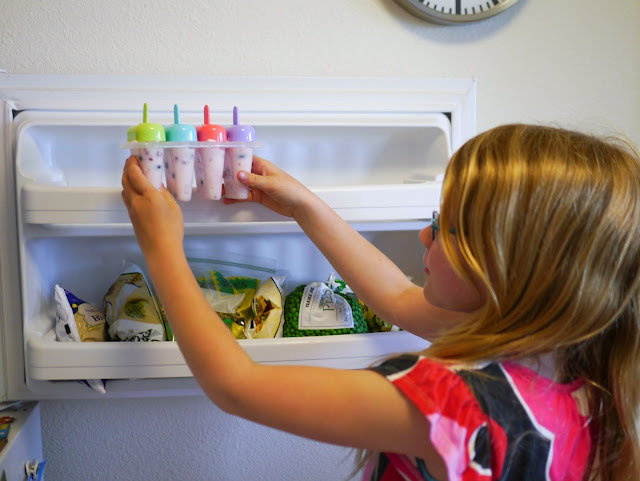 Place the filled popsicle molds in the freezer. I like to leave them overnight to make sure that they are completely frozen but they should be ready to eat in about three or four hours. 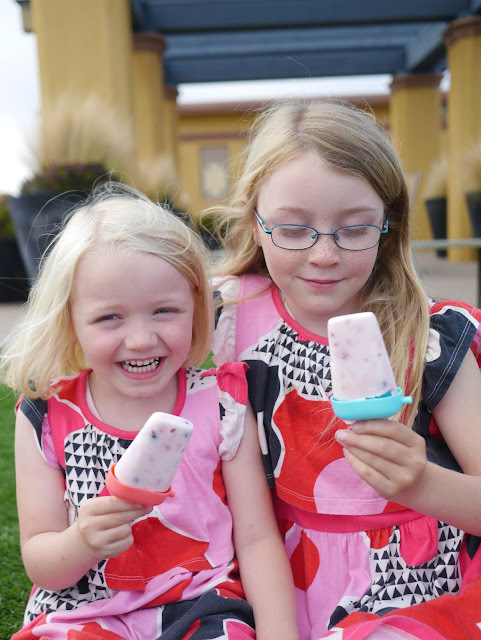 Once they're frozen, enjoy your delicious (and healthy) fruity yoghurt popsicles. Perfect for a sunny day - or a not so sunny day if you live in the Bay Area like us! For more fun yoghurt recipes and ideas from Mountain High Yoghurt plus a discount coupon visit www.mountainhighyoghurt.com. 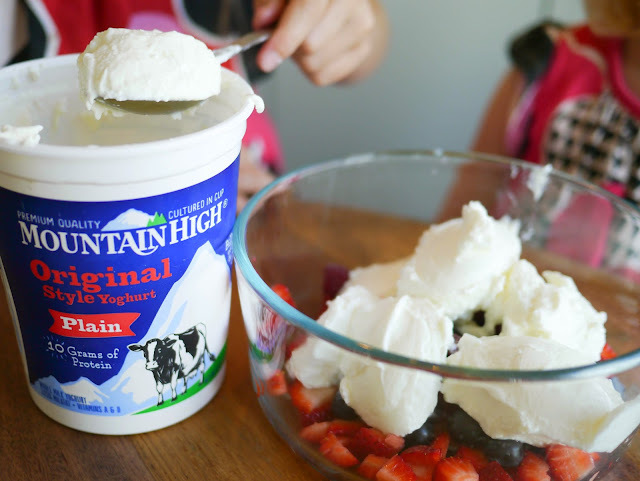 You can calso find Mountain High Yoghurt on Facebook, Instagram and Pinterest. 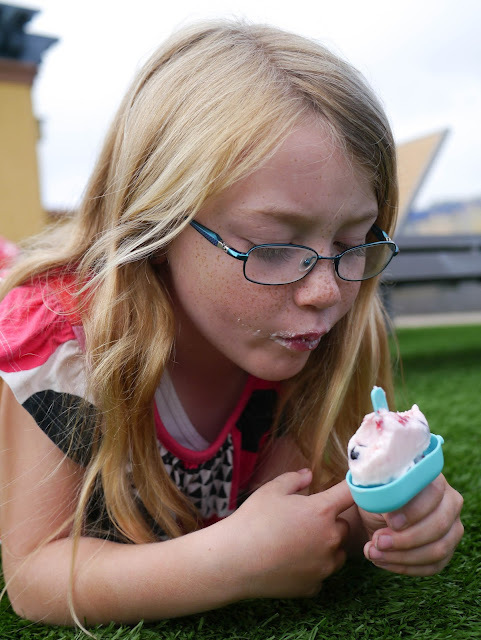 What a great way to make a healthy and cool treat! Love that the kids help make them too! 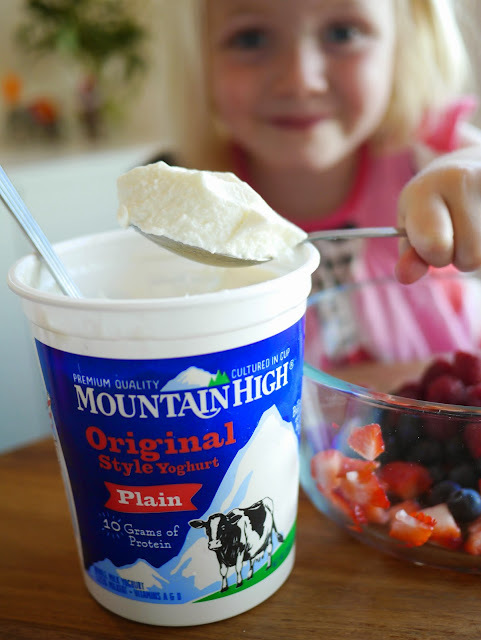 We just loved trying out Mountain High Yoghurt! Those look yummy! We are in the SF bay area too and love it here!